Fiesta has been a treasured part of San Antonio for the past 126 years. With its colorful décor, lively music and rich culture, locals and tourists alike look forward to the annual celebration. 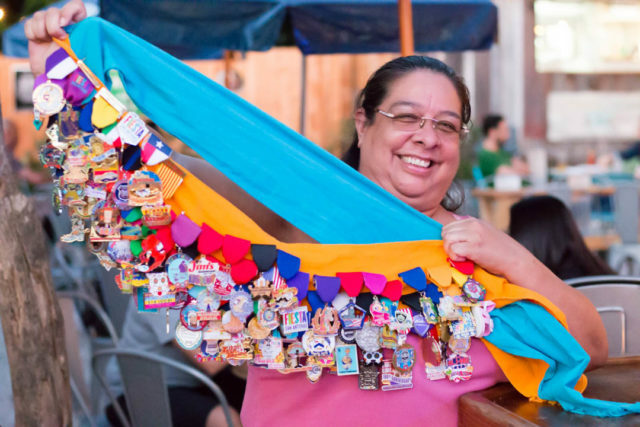 One of the many things that make the Fiesta experience so unique is the growing phenomenon of collecting Fiesta Medals. 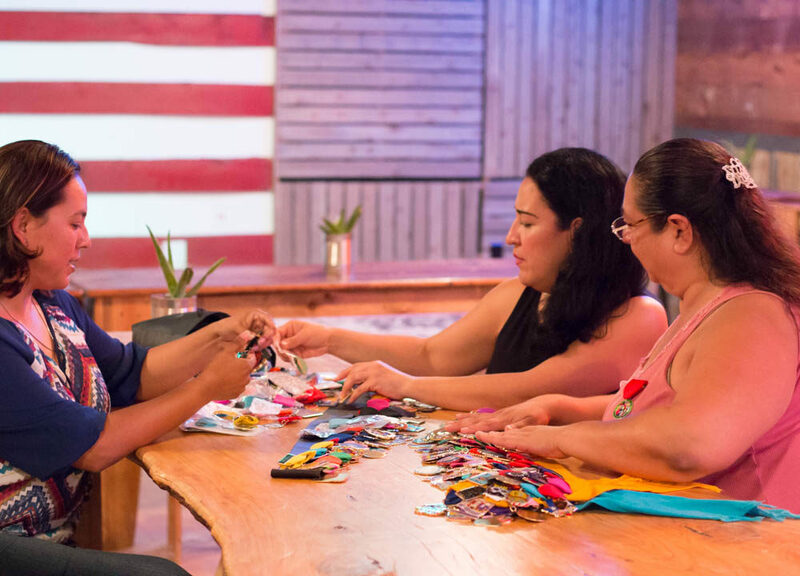 Organizations, businesses and locals create one-of–a-kind medals to trade and sell during the 10-day event, causing a fiesta medal frenzy. Similar to Pokémon trainers—they gotta catch ‘em all—fiesta medal fanatics find themselves rummaging through all corners of the city and the internet to get the scoop on where to find the hottest medal. 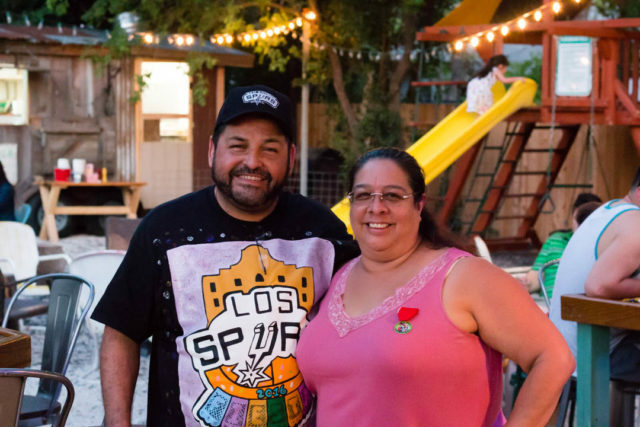 Collecting fiesta medals has united many Fiesta-goers, most significantly, the admins of Fiesta Medal Maniacs, a Facebook group dedicated to the medal hunt. Join the Medal Maniacs at their medal reveal party or January 18th! Co-founder of Fiesta Medal Maniacs Lillian Villanueva began collecting in 2010 and posted her finds on her personal Facebook page. 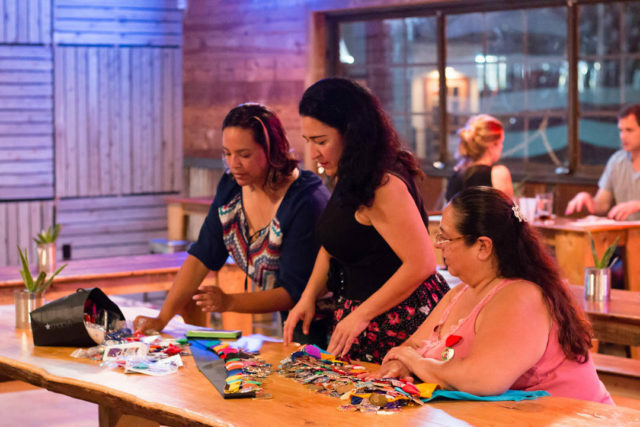 After discussing with her friend Maggie Ibarra-Jimenez, owner of Maddie Mac Boutique and the go-to place to pick up medals, the San Antonio natives saw the potential of having a Facebook page devoted only to fiesta medals. The page would share info from where to find them to their individual costs—thus the birth of Fiesta Medal Maniacs. The page launched in Spring 2015, right before the start of Fiesta. And as Lillian and Maggie continued to collect and post detailed information on every medal they found, the page received more and more likes. “We were like ‘Wow, check this out! Ok, maybe this is going to take off,’” said Lillian. Fiesta Medal Maniacs admins Paul with Lillian—while Paul has moved away from San Antonio, I’m sure he’ll be checking out the site. Photo by Garrett Heath. As the page’s popularity increased, the pair decided it was time to bring a third person on board. Paul Gonzales, a fan of the page seemed like the ideal candidate. “He kept posting all these homemade medals he would make,” Lillian said. “He had lots of information on medals that were coming out.” Paul has since moved away from San Antonio, but I’m sure he’ll be following the frenzy through Facebook. 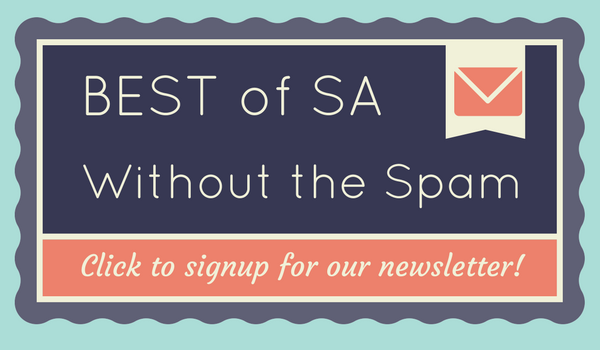 Join the SA Flavor newsletter to see when our 2017 Fiesta Medals drop! As more organizations design intricate and eye-catching medals, people are more inclined to dedicate their time to finding these treasures before they run out. “I think the hunt is a big part of it all, there’s an allure to it,” Maggie said. To ensure that you’re able to collect all the medals you can, it has become necessary to work with partners. The Fiesta Medal Maniacs team has witnessed loyal medal collectors spend anywhere from $10 to $400 on medals for themselves and for their family and friends. The Fiesta Medal Maniacs page even shared a chart that demonstrated the best way to save money week-by-week for those planning to get an early start for the following year. “People are saving their pennies, nickels and dimes and putting them in a jar for next year,” Lillian said. Lillian shows off one (of her many) outstanding Fiesta Medal sashes. Photo by Garrett Heath. With so many people on the hunt for these novelties, one has to wonder how Fiesta Medal Maniacs gets all their useful information. With help from their secret weapon and loyal fan turned admin, Christina Lumbreras, the Maniacs manage to find out about the various medals before everyone else. Christina began collecting in 2014 when she sought out a Bill Miller’s medal for her toddler. Soon after that excursion, she was hooked. Christina does her “scan of the world” by reaching out to people and keeping an eye out for hints on who will be designing medals and when they will be released. But after her first month on as an admin, Christina felt as though she had been an admin for two years. She estimates that she dedicates an average of 15 hours per week to the Facebook page during the height of medal season—she won’t even look at her personal page for weeks. “I have no idea what’s going on with my family and my friends!” Christina told me. Current Fiesta Medal Maniacs admins Christina, Maggie and Lillian (left to right) trade medals last year at The Pig Pen. Photo by Garrett Heath. Their dedication to the Fiesta Medal Maniacs page has resulted in continuous growth since its establishment, with approximately 7000 likes to date. People have responded well to the page because it aids them in finding the perfect medal to add to their collection. Each medal is distinct and unique, a snowflake in the middle of San Antonio’s Fiesta heat. The commitment to the search and collection has fostered a community of its own with the help of Fiesta Medal Maniacs. Attempting to accumulate the best medals every year has bolstered anticipation for San Antonio’s Fiesta, and has even made the search very much a part of the festivities. Be sure to follow the Fiesta Medal Maniacs on Facebook and on Instagram. Join them at Los Barrios on Wednesday, January 18th at 6:00pm for their big reveal of their Fiesta Medal!